Yes, I’ve been back from the whirlwind tour of Western Kentucky, but haven’t had a chance to update on Madrid, Moscow and Dublin. It was a very interesting trip, filled with intrigue in the swamp, forest fires, Amish farms and sailing under motor power. This street sign above, the sign on the Berlin Baptist Church and a verbal confirmation from the really nice folks at the General Store were the only real evidence we had of actually being in Berlin. 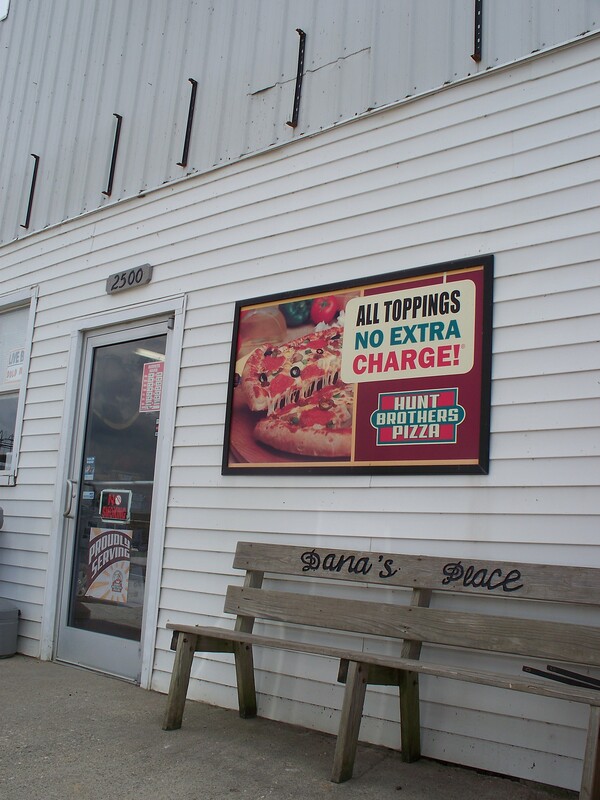 I’m not sure if the store’s name was Dana’s Place or if the bench belonged to Dana. I do know for sure that it was THE place to be on a Saturday afternoon in Berlin. And we did learn that the city’s name is pronounced Ber’ lin, emphasis on the first syllable. 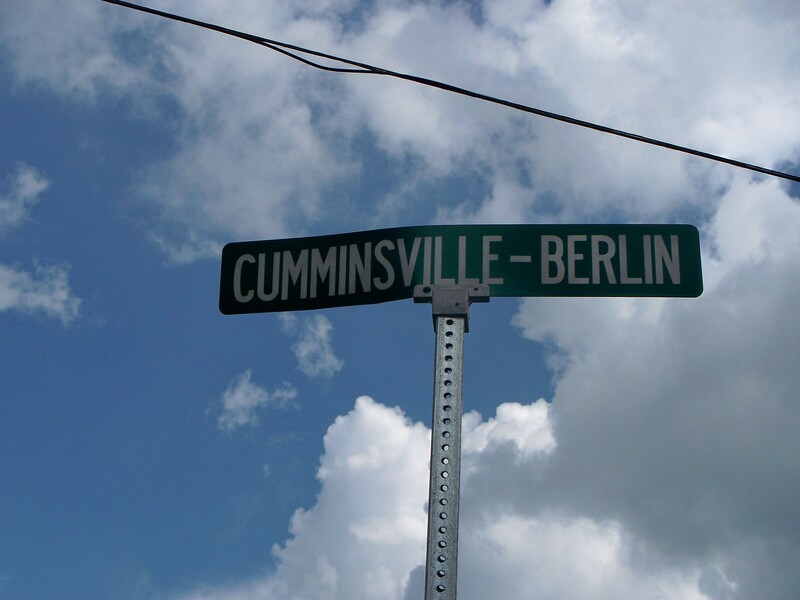 Berlin is a town in Bracken County, Kentucky, 30 miles south of Cincinnati. It was founded in 1830 and has about 400 inhabitants. Once upon a time, there was a Welcome to Berlin sign and everyone seemed surprised to learn that it was no longer where they thought it was. However, they also didn’t seem too concerned about it. Everyone seemed pretty laid back about everything. 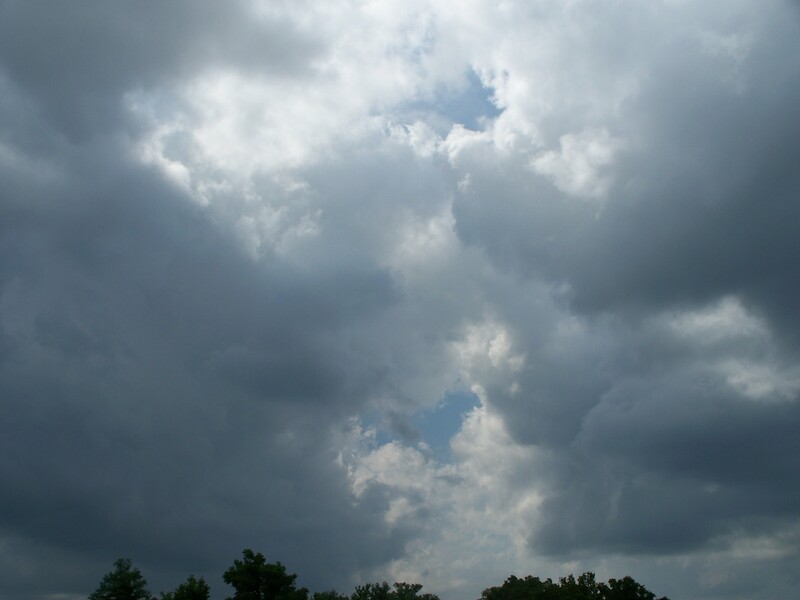 It was a beautiful summer day with lots of stormy looking clouds. Beyond the clouds, the sky was deep, deep blue. What a gorgeous day! 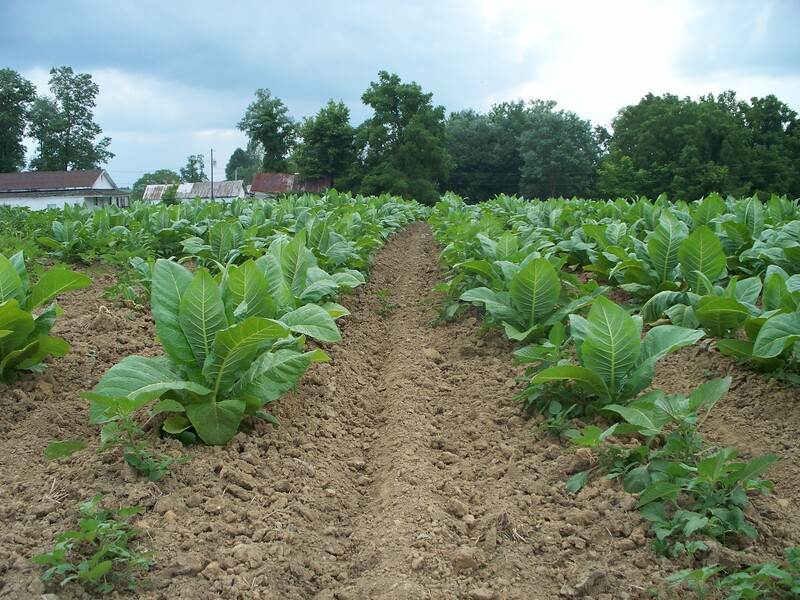 Don’t care much for smoking, but the tobacco plants and barn created a serene scene. Today’s Challenge: Find Berlin and report back what you see! 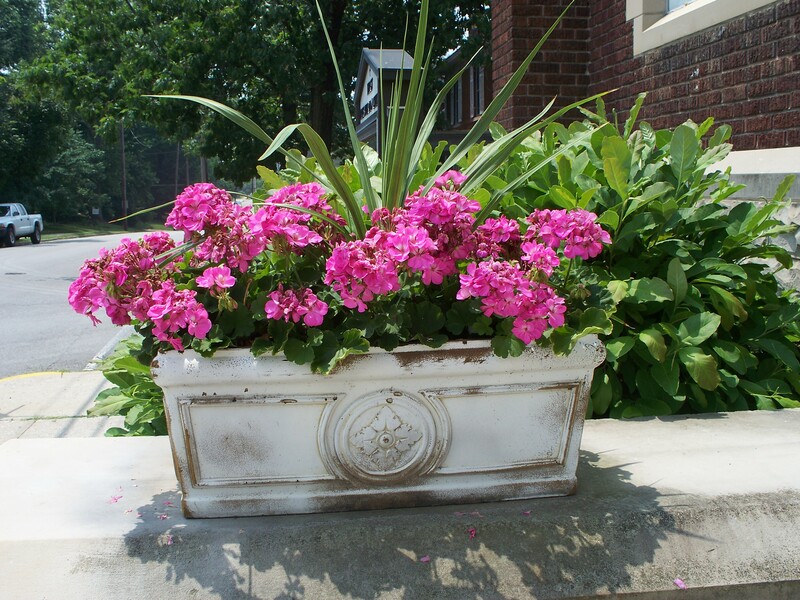 The Hayes of Our Lives is about to get really exciting and the air is heavy with anticipation! We are about to embark on The European Capitals of Kentucky – Western Edition, which will include Dublin, Madrid and Moscow. While out west, we also plan to do a day of sailing on one of the big lakes – oh yeah!! 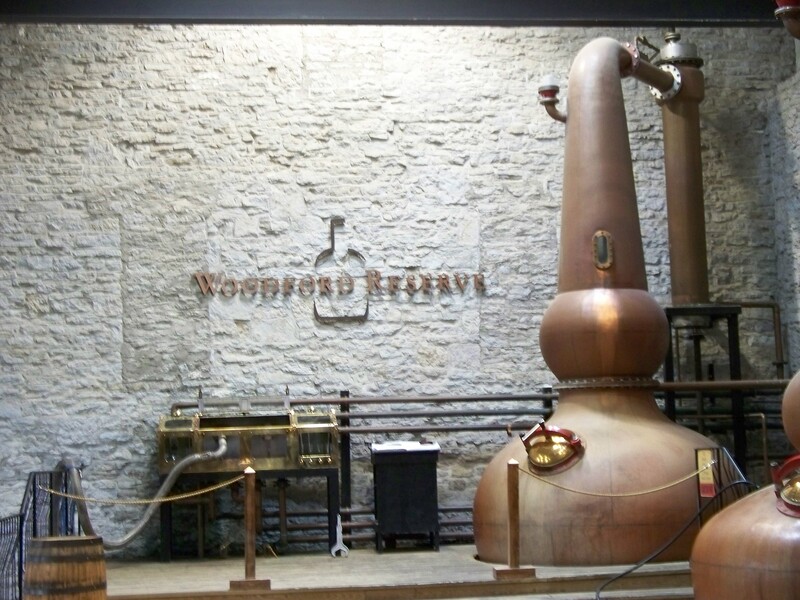 Along the way, we’ll be “Hoppin’ Down the Bourbon Trail”! Whoop! Whoop! This blog is defintely going to divert from the European Capitals and through the Bourbon Trail very soon. If your looking for a good late summer/early fall adventure, I would highly recommend the Corn to Cork Tour at the Woodford Reserve. 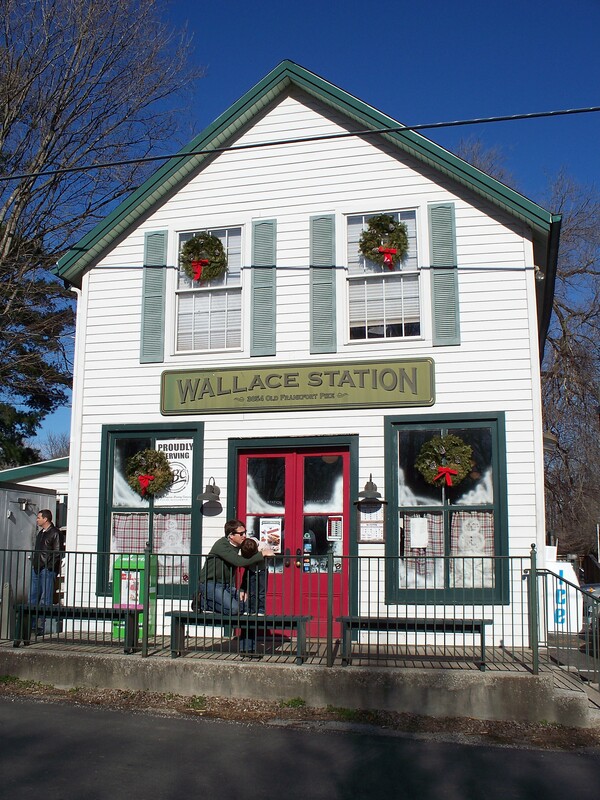 Oh and stop at Wallace Station for an inside out Hot Brown sandwich. Yum! If it’s good enough for Guy Fieri, it’s good enough for us. Wow, when I was growing up, Gay Paree meant something entirely different from now. Gay meant happy, carefree and fun-loving. 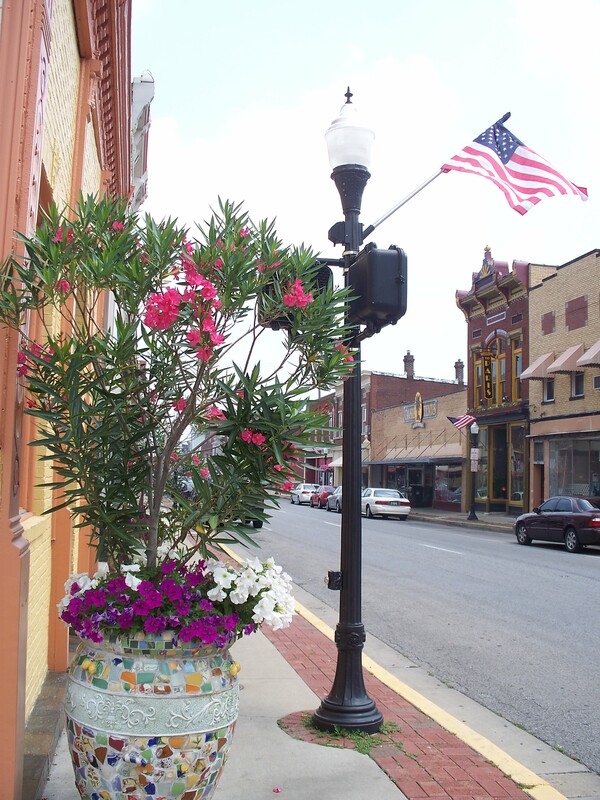 Well, Paris, Kentucky might not be quite as exciting as all that, but it is a charming, warm and inviting place to visit. 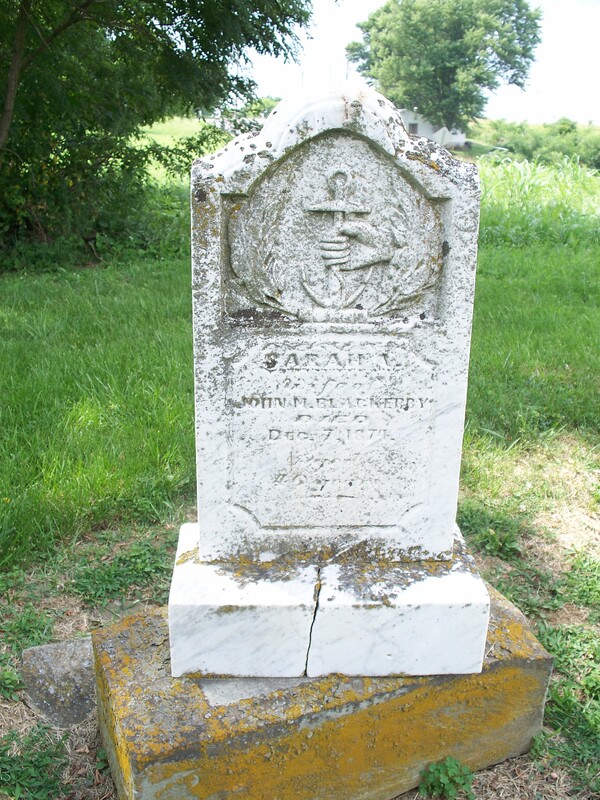 Do you remember studying Kentucky history? I hope so, but personally, I don’t remember much beyond Daniel Boone and Henry Clay. So imagine my surprise to learn just how old Paris, Ky. really is! 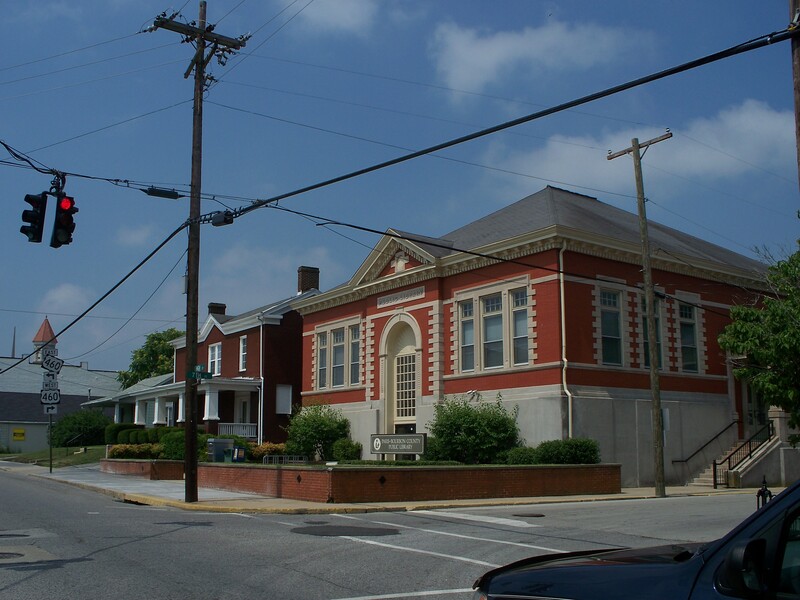 Ok, I see you history buffs rolling your eyes, but for the rest of us, let’s explore a little history of the town that started out known as Hopewell. Well, wait a minute, first let me say that the Bourbon County librarian (who shall remain nameless because I forgot to ask) was a wealth of information about local history. Also, there is a very quaint museum, The Hopewell Museum, at 800 Pleasant Street. Both are worth a stop because the librarian and docent were so friendly, genuinely helpful and full of great information. 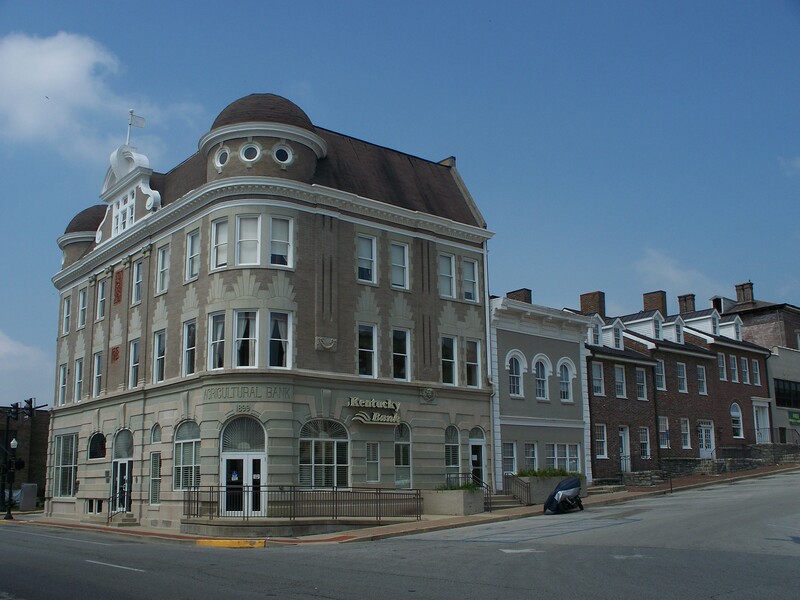 Hopewell was originally part of Virginia and it was established in 1775. James Garrard, Bourbon County’s Representative to the Virginia Legislature, petitioned to change the name to Paris in 1790. 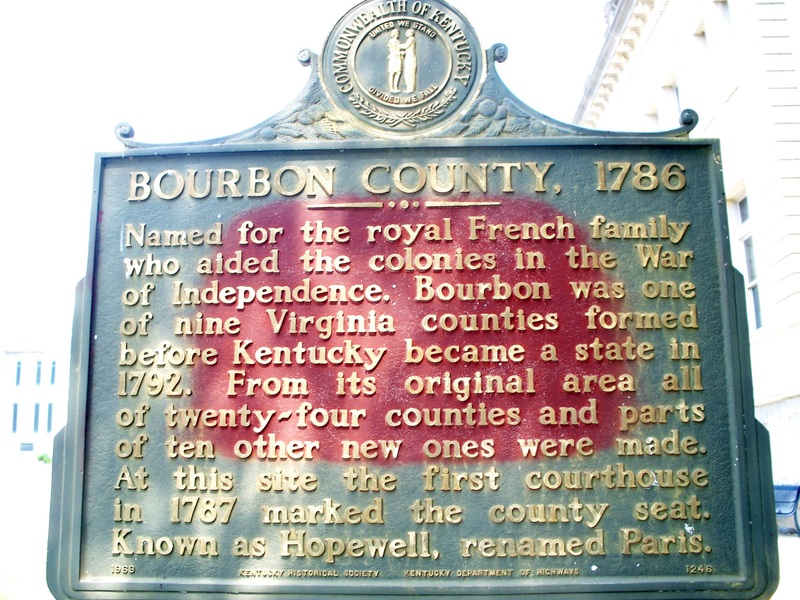 Bourbon County, formed in 1785 from Fayette County, and its county seat , Paris, were named for the Bourbon line of kings and the French city out of gratitude to the French for their assistance during the Revolutionary War. 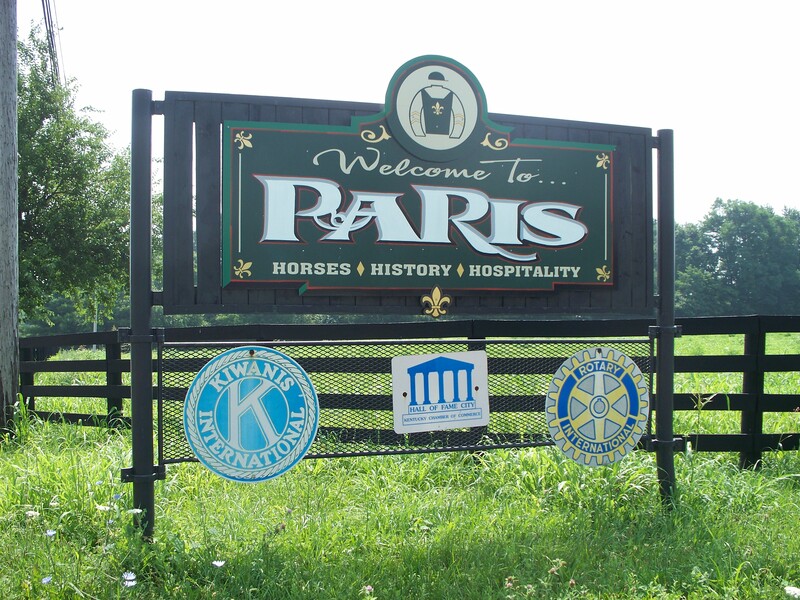 Paris was formally chartered by the Kentucky State Legislature in 1862. Besides the history, here are some things I loved about visiting Paris. 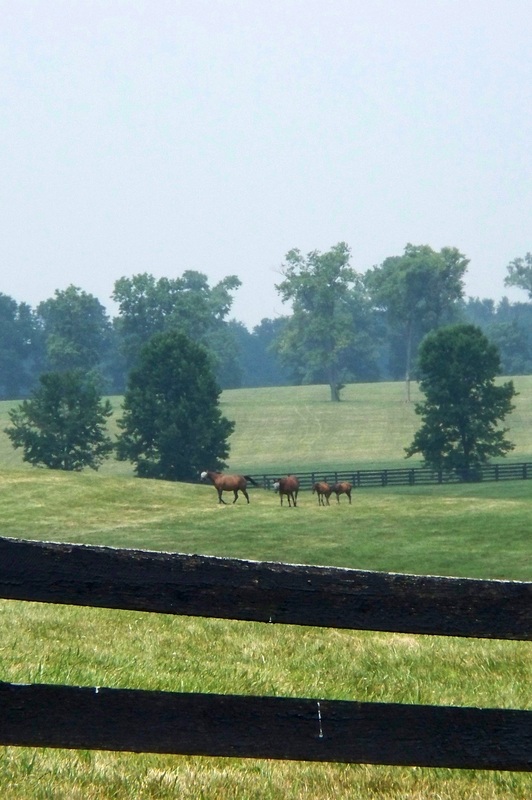 The drive is stunning – from I75 take Route 460 East and you’ll pass pastoral horse farms with miles of slave fences. It is the essence of bluegrass horse county! Yes, I made Charlie pull over (something he detests) and let me drink in the sights and take pictures, of course. I’m not sure which is most beautiful, the horses, the farms or the fences. 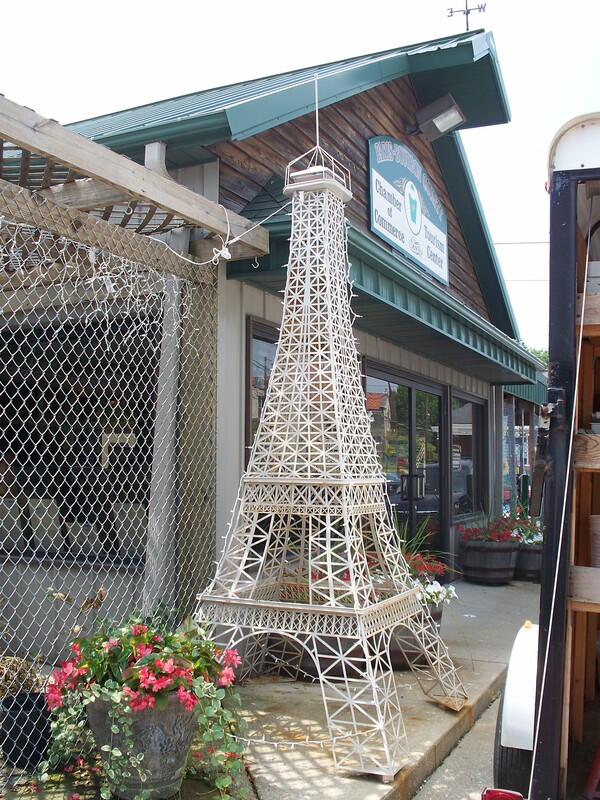 The Chamber of Commerce has its own Eiffel Tower. On Saturday, they host a farmer’s market. It’s great! 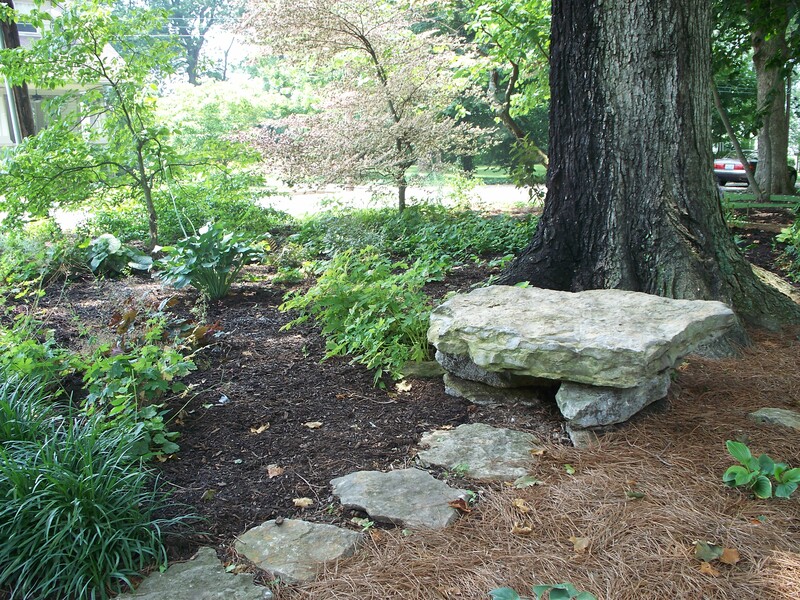 The most beautiful and peaceful spot in town is the Nannine Clay Wallis Arboretum. 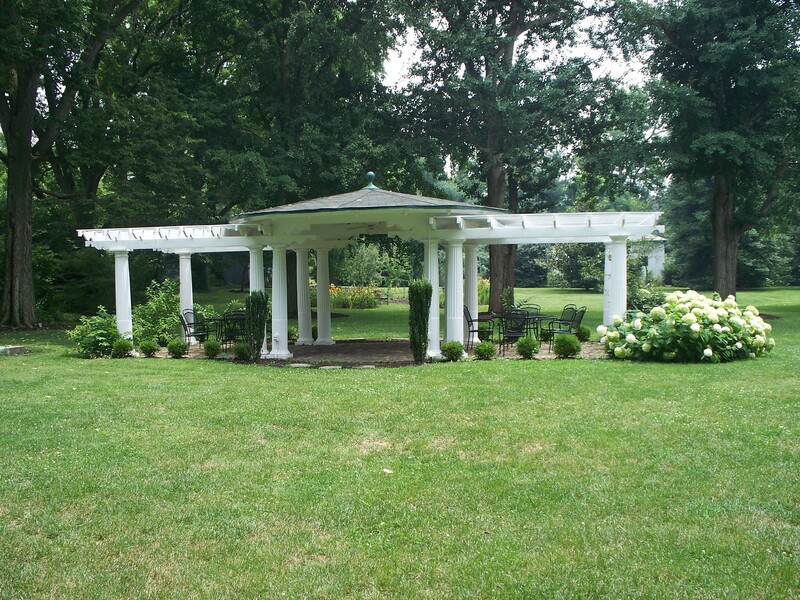 It’s the headquarters of the Kentucky Garden Club. It was so impressive that there will be a separate post with lots of pictures. It’s at 616 Pleasant Street. 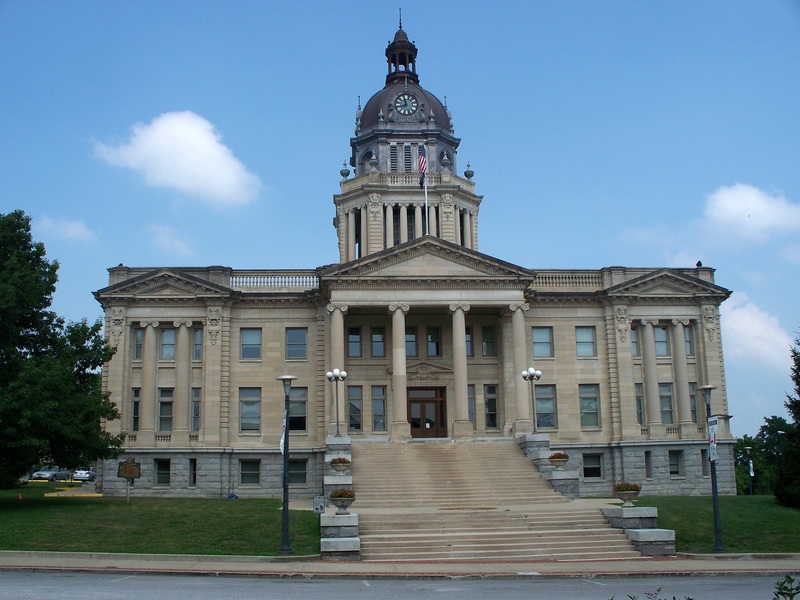 The architecture of the Bourbon County Courthouse and surrounding buildings are definitely in the European style. 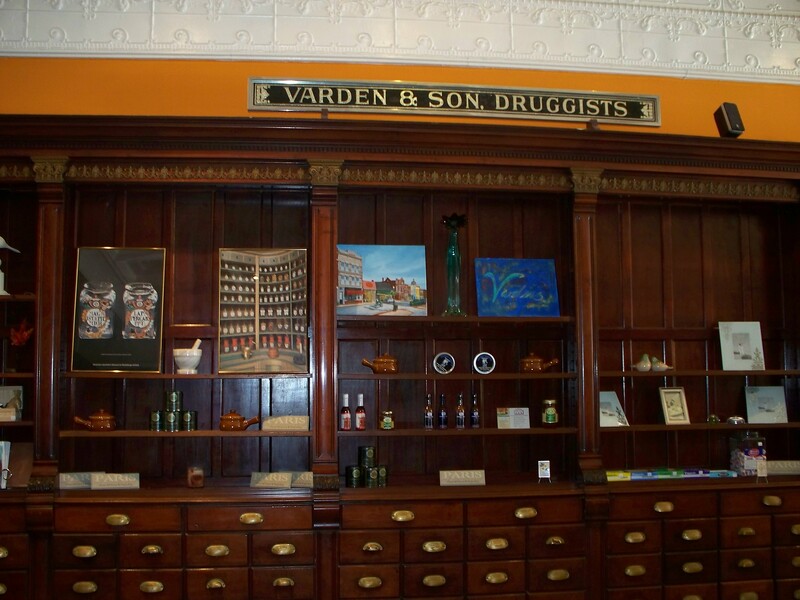 And we ate a delicious lunch, including fabulous chicken salad, at Vardens which is an old style apothecary with lots of wood shelving and cabinets intact. There was even stained glass inside! 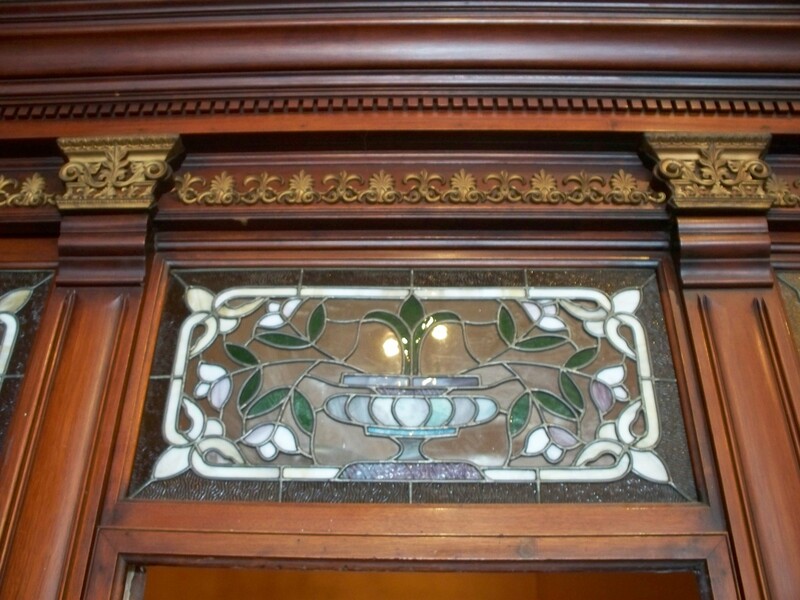 It reminded me of a public restroom in Paris, France that had stained glass in the stall doors. Well, that’s only the tip of the iceberg of things to do and see in Paris. More details will be forthcoming, including a look at Paris, Kentucky versus Paris, France. Hope you’ll stay tuned or maybe visit Paris and share some of your own finds from there. This blogging thing is harder than I thought! I’m having technical difficulty embedding pictures with my text. Hopefully my consultant will be available soon to help her old Mom! Until then, enjoy this picture taken on the road to Paris! Do you love to travel? Well, I do, but just like Dorothy (my namesake) and Toto, there’s no place like home! 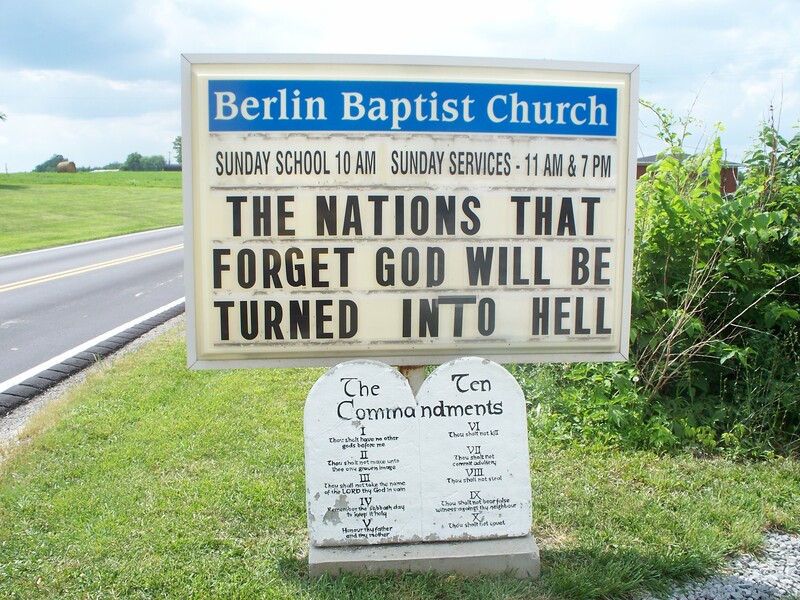 And that would be Kentucky. There’s no better place to wander than through the cities, fields, rivers and forests ofKentucky. 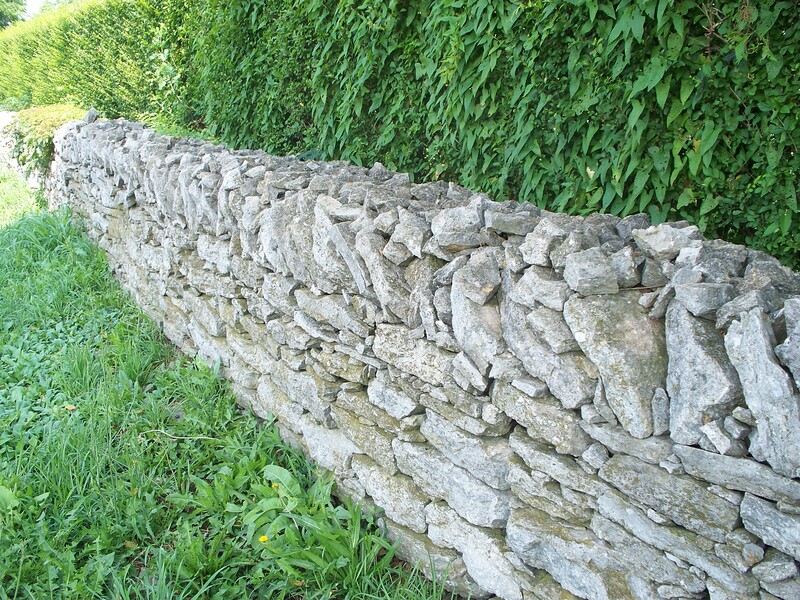 Yes, I admit it, I’m a Kentucky geek through and through – a product of four generations of Kentuckians! One day, while driving south on I-75, as we were passing the Paris exit, I mused, “Wonder how many cities inKentuckyare named for European Capitals?” So the quest began. Grabbing the Official Kentucky State Highway map, the concept for The European Capitals of Kentucky Epic Tour began to form. In the blogs to come, together we’ll explore the nine (oops, ten if you count Bagdad) Capitals identified so far and look forward to your input on ones I haven’t discovered. There’ll be pictures, food and drink observations, a little history, both written and oral, comparisons with their European counterparts and whatever else strikes our fancies. 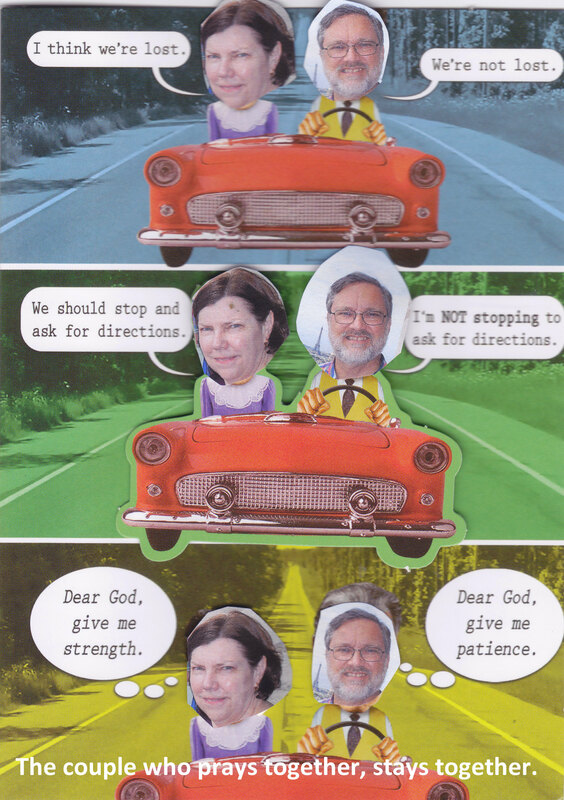 Come along for the armchair version and then, I sincerely hope you will get out there and explore on your own! And when you do, please share your experiences – past, present or future. Don’t you just love to fantasize, remember and dream about travel? ?